Ghisolfi on Queen Line. Photo: Sara Grippo. Adam Ondra and I tried the Queen Line, near my home in Arco, Italy for the first time the two years ago. Adam went on to send it in April 2017. I have been trying to send it ever since. Last week, I finally did. Queen Line was bolted by Mauro Mabboni many years ago and the crag used to be a dry-tooling training wall. 20 years ago small holes were chipped and drilled for axe placements, but were filled in when the crag was converted to a sport climbing area; none of the holds on the Queen Line are artificial. The line starts in the center of the wall. After a few meters it goes right on some easier holds. 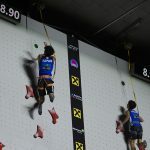 The hardest part is the first 12 meters: 17 intense and extreme moves in two sections, with just a small, bad rest between. After 12 meters the hard part is almost over; but still the climb continues on for 10 more easier meters. When Adam freed the line in 2017 after just a few days, he named it Queen line. It is the”queen” because there is also a King line still tucked away. After the first 12 hard meters of Queen Line, there is the possibility to continue straight up instead of finishing on the easier ten-meter section. While Adam worked on Queen Line, I worked on One Punch, a hard 9a+ (5.15a) that I was able to climb in April 2017, too. After that, I wanted put all my energy into Queen Line. But spring came and the warm temperatures didn’t allow me to climb my new project. I waited until fall and did a fast ascent of One Slap—another 5.15b that Adam Ondra opened. One Slap starts on Queen Line and ends on One Punch—the perfect training for the Queen. The crag remained wet all winter, only drying out again in April of 2018. But then it was too hot to try to climb the route! Always something. So I just climbed on certain sections to rehearse the beta. This February, conditions were finally amazing: warm, dry, winter weather. So I started wooing the Queen once again. 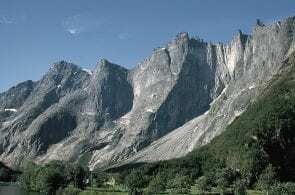 I went climbing there once a week, while training bouldering and speed (for the Olympics) during the remaining days. I made good links, but never tried to climb the route from the bottom. Last Tuesday, I climbed from the third bolt to the top. It was a great link, a sign of my progress. I finally felt ready for some serious redpoint attempts. My goal on that Tuesday had been to link the exact section I just had, so part of me thought I should call it a day and come back for the redpoint… but the day wasn’t over… I decided to give it a real try right then and there. I started climbing and my hands were freezing, but somehow I climbed until to the rest. I couldn’t feel my hands; I rested more than I needed to until the blood and feeling returned. Then I launched into the second part of the route. I had to give 100% the entire time, nearly falling on every move, even on the easiest part, where the route should be all-but finished. I didn’t expect to climb the route that day. I was surprise and thrilled at the same time. But there’s still unfinished business. Now I want to try the harder version: the King Line. 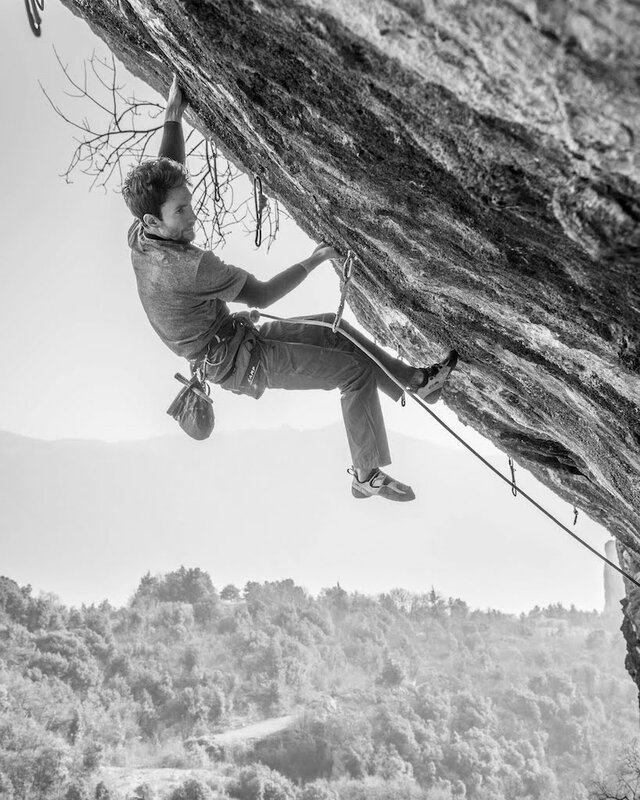 It adds some very hard moves to the Queen Line should be at least 9b+ (5.15c)—maybe even more. My main focus for this year will be qualifying for the Olympics. But when I have time to climb outside, the King Line will be where I am. It is just 10 minutes from my home and I can climb there and train on the same day. 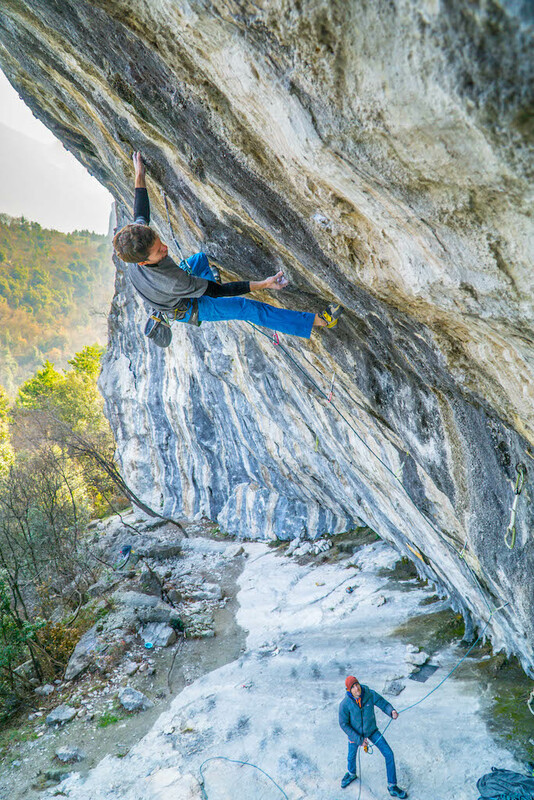 I’m looking forward to be getting back in projecting mode trying something very hard… maybe even harder than Perfecto Mundo (9b+)! Tony Howard’s new autobiography, Quest into the Unknown, covers Tony and his wife, Di’s, travels across North Africa, the Middle East, Scandinavia, Canada, South East Asia, South Georgia, Antarctica and beyond. Famous for the first British ascent of Norway’s Troll Wall and designing the modern sit harness, Tony has dedicated his life to traveling around the world with Di in search of unclimbed rock and remote trekking adventures. The following story from Jeff Smoot’s new book, Hangdog Days: Conflict, Change, and the Race for 5.14, follows one of the pioneers of hard sport climbing in America, Alan Watts, as he brings his hangdogging tactics—at that time, in 1985, anathema to the virtues held holy by Yosemite hardmen—to a notorious undone project at Donner Summit, California: Crack of the Eighties. 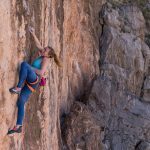 In this essay, Molly Mitchell recounts her and Sasha DiGiulian’s epic day spent on Samadhi, a 13-pitch 5.13a big wall in El Salto Mexico.